Even with an Android phone, one of the most customizable phones out there, you may have the mistaken belief you don’t need root apps. However, rooting your phone gives you excellent functionality and access to a new genre of apps. Along with those benefits, you can unlock hidden features and install carrier-blocked apps. When you root your phone, you can also delete the annoying software on your phone that drains battery life and often comes pre-installed on most phones. AdBlock Plus, a free and open source application, removes advertisements from your Android device. 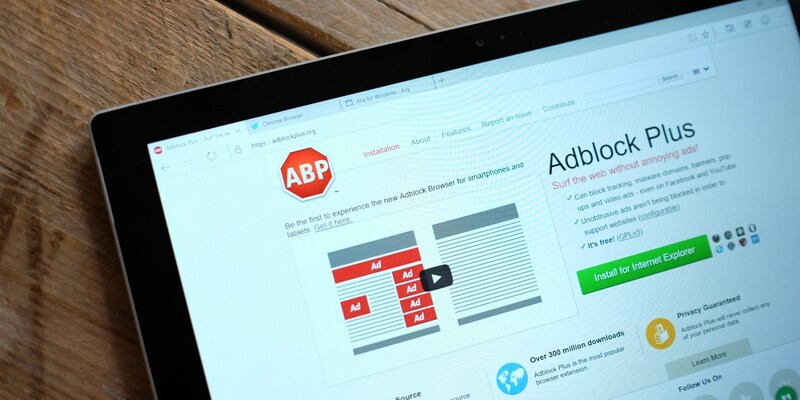 Even for those who make a living off advertisements, AdBlock Plus becomes a must-have because tons of advertisements slow down your system. You can then pick and choose the websites you want to support. Avoid longer load times, flashing images and intrusive advertising. Not to mention, some online pop-ups give you viruses. These ads can invade your privacy. Kate Sanchez, a freelance writer from Yorkshire, said she told Facebook she was 106 years old. Now she sees advertisements for bingo and late-life love. When a family member died a few months ago, intrusive adware picked up on this from an email, and now she receives creepy advertisements for black clothing and funeral plans. AdBlock Plus cuts down on these intrusive ads, and it improves the performance of your phone. Touted as a free strong data tool, Dumpster locates deleted files and restores them to their original state. While the system supports videos and photos like most root apps, the system also supports documents, PDFs, music files and almost anything else you deleted. Similar to most data recovery tools, you do not need root to use it, but root access enhances the performance of the app, and you increase your chances of finding lost files. After you have installed Dumpster, the apps act like the Recycle Bin on your computer. You can choose to permanently delete files if the need arises. Dumpster’s uses are universal, and it’s one of the great root apps to have on your phone for those “Just-in-case” moments. Absurdly simple and useful, Quick Boot‘s power menu offers little, and most of the time, you can only power down or reboot. Where Quick Boot glistens, however, is with the device specific uses. For example, you can click into Download Mode for your Samsung devices or fastboot with other devices. What you can do with root apps like this will be quick, simple and they make the locating of an advanced power menu less prioritized. You can utilize the reboot to kill rogue apps from the system memory, and you can also use this if the system experiences serious errors. For a long time, experts have listed Titanium Backup at the top of root apps because you can uninstall bloatware with this app. In fact, this app brings so much power into the hands of the consumer that it feels almost blasphemous to not include it on the list. Along with uninstalling bloatware, you can also freeze apps and put backup to your application data and applications. For years, many ROM flashers swear by this technology, and it’s possible Titanium Backup takes first place as the most popular root app of all time. If placed in a competition with other root apps, it would probably reach the top three most useful apps of all time. An audio modification tool that hands you the reins over the audio sounds coming out of your speakers, headphones and Bluetooth devices, Viper4Android features its own audio drivers, tons of sound effects and an equalizer. The multitude of things you can do with this app is astounding. While the installation process takes a more complicated approach, you can read the official XDA instructions, which is as good as it gets. Another great thing about this app is how you don’t have to pay for it. As the name suggests, Wakelock Detector finds apps acting out of line. In that way, you can take the steps to bring the problem to a grinding halt. Whether it relates to rogue apps going bonkers, Google Play Services or issues with your device. A wakelock drains the battery much faster, and root users will eventually need this app to fully understand why. While the app does not cost anything to download, you can purchase the pro version for $1.99. 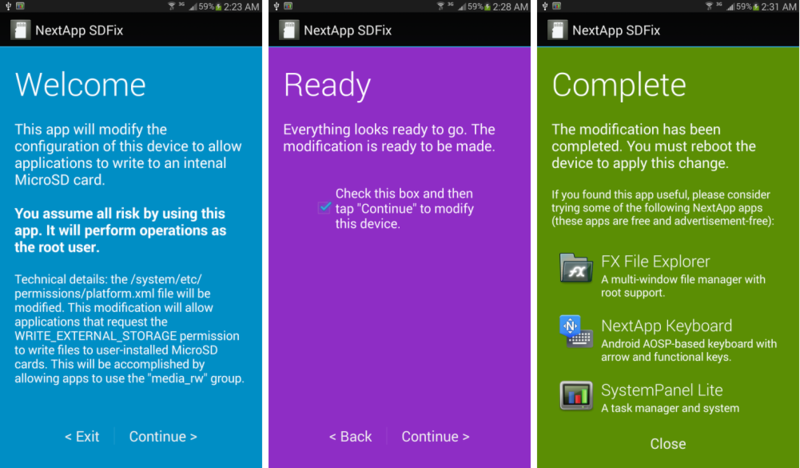 Known as a system modifier tool, SDFix assists those who run Lollipop and Kit Kat to overcome the locked-down SD card problem. After testing on a Note 3 for both the Lollipop and the Kit Kat, Keep in mind, SDFix does not work for all devices, but for those afflicted with an issue, it can be exceptionally easy to use. All you have to do is open it, hit go and wait a few moments before you uninstall the app. Want to move your apps over to an SD card? With the Link2SD app, you can create links and make your device work for apps with the conventional Apps2SD. That way, you take advantage of the external SD card space. This will not have as much power as Marshmallow’s adaptable storage, but it does serve as a good alternative. Keep in mind, this software does have some bugs, and you will want to read the user reviews before you decide to download it. These root apps can automate almost everything. When you root your phone, it can do a lot more. For example, tasks like changing CPU speed, toggling 3G, GPS and turning the screen on will all require root access. In the end, it all boils down to a single principle: You own the device, and you should have the option to do as you please with it. Do you have a favorite root app not shared? If so, feel free to comment and share your opinion.